Last week I sat in a theatre filled with openly gay politicians, sports-people, journalists, senior bureaucrats, celebrities, artists entertainers and several hundred community members. We were all there for the Premiere of William Yang’s documentary Friends of Dorothy as part of Queer Screen’s annual film festival. William’s moving and motivating film provided a history of gay Sydney and our Mardi Gras, a celebration he refers to as a ritual. The success of any ritual is the responsibility of its believers, of which I am proudly one. When I was a younger and still not “out”, I would secretly watch the Mardi Gras on TV, and it gave me hope. So much of what I saw connected with me. Whether it was the cute marching boys I found attractive or the political messages I agreed with, I thanked God for the Mardi Gras. This year marks the return of Mardi Gras to television and for me this makes the parade a success before it even begins. A message of acceptance and LGBTI celebration will be sent to lounge-rooms across Australia for all to see. Importantly, young people struggling with their identity and sexuality in rural, regional and suburban Australia will be able to watch the largest parade ever, and experience it vicariously along with the ten thousand people marching down Oxford Street. 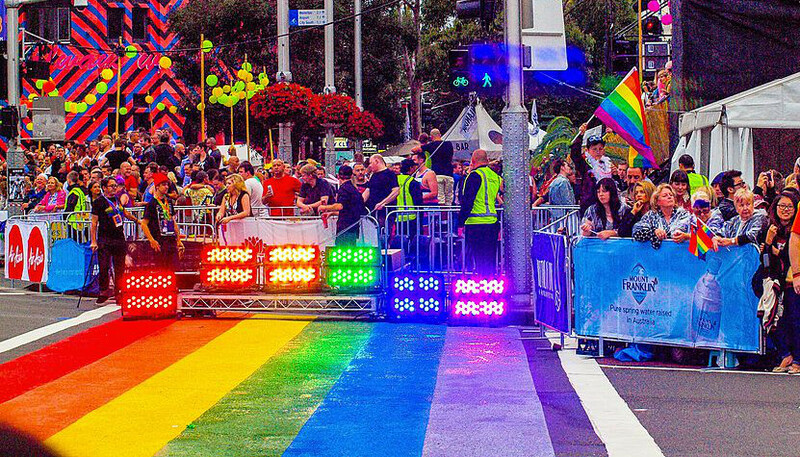 They will be able to see a wonderful array of silly, sexual and serious parade entries and enjoy the proud LGBTI expressionism that is the Sydney Gay and Lesbian Mardi Gras. All major political parties are represented, as are schools, churches, athletes, lifesavers, police and corporate Australia. Yes, “we” are everywhere, and major institutions, organisations and many community leaders publicly show they support justice and equality. Mardi Gras has not always been a celebration. In 1978 a protest calling for an end to discrimination, an end to police harassment and the repeal of all anti-homosexual laws resulted in the police arresting 53 marchers and saw them engaging in targeted and homophobic violence. The 78ers again leading the parade this year are an important reminder of the battles fought by earlier generations for us and the future. 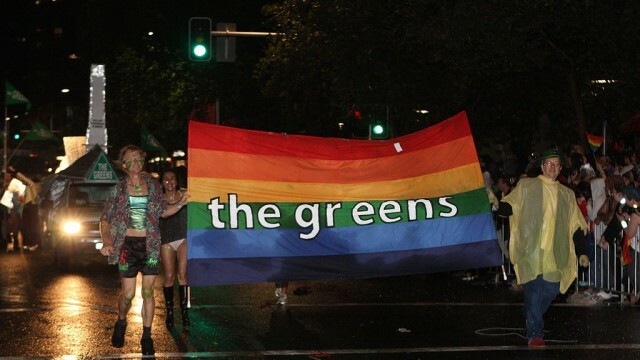 For me there is no greater honour than joining our ally Clover Moore in the parade. 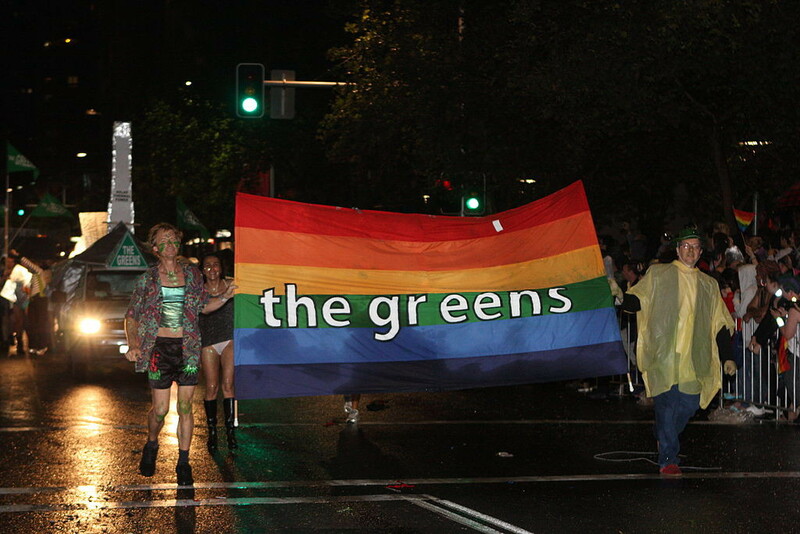 Clover was the first member of a legislative assembly take part in the parade at a time when it wasn’t popular to support the LGBTI community. She also stood up for us in Parliament when other MPs were too scared or actively opposed us. Now, political parties jockey for who can get the best spot and have the biggest float. While Clover and I are heading down the parade route, I will be thinking of those watching at home, and in particular those for who being gay isn’t so easy in their family, community or school. As they watch, I hope they see that they are not alone and that there will be a future without discrimination, violence or abuse, replaced by one of justice, respect and inclusion. Excellent article. I will share it with my family.